“Low-calorie ice cream” may seem like an oxymoron if there ever was one. You’d be forgiven for thinking that such a thing simply doesn’t exist. What if we told you it does exist, and surprise, surprise, that it tastes damn good? 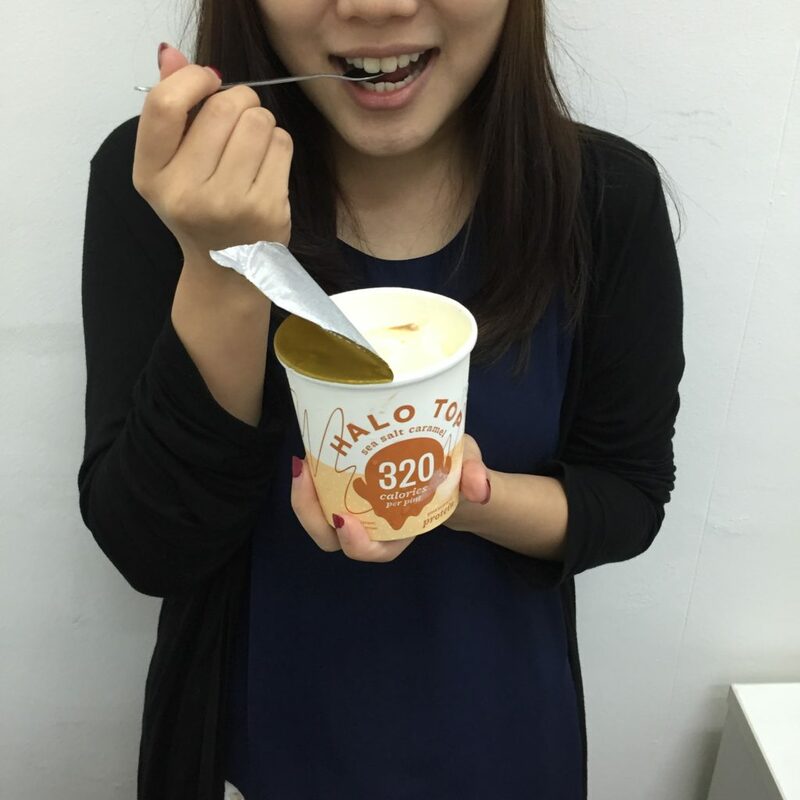 I first learnt of Halo Top months ago, when it was not yet available in Singapore. Recently, the brand came up on my radar again. A few queries and clicks later, I swiveled in my chair to face my colleague: Oh my god. 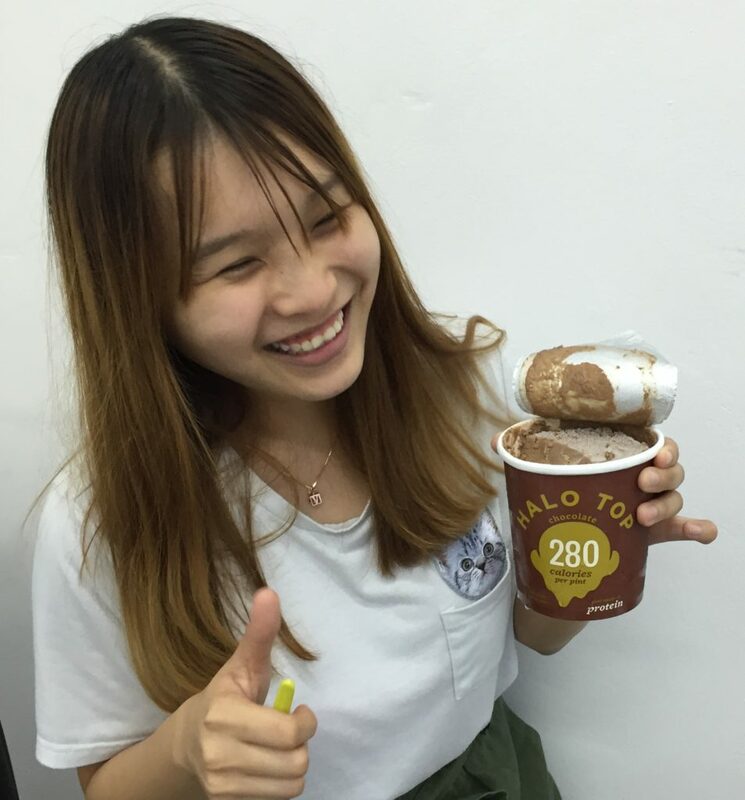 There’s Halo Top in Singapore. She blinked at me confusedly. Halo what? For the uninitiated, Halo Top Creamery is an ice cream brand that is marketed as containing less sugar, fewer calories, and higher levels of protein compared to regular ice cream. 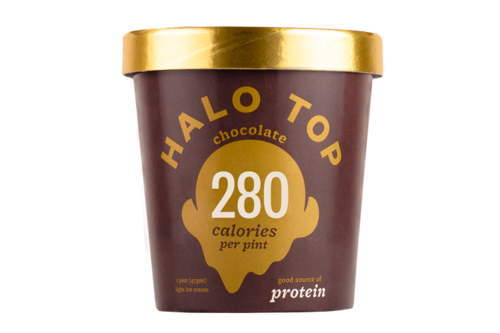 To put that into perspective for you: while a pint of ice cream from a generic brand usually contains more than 1,000 calories, Halo Top only contains 240 to 360 calories per pint. If your favorite flavor is chocolate, you’re going to have to be more specific. 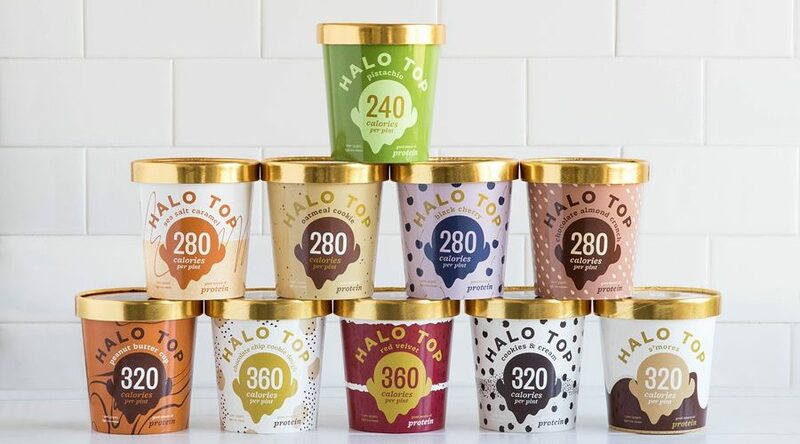 While other ice cream brands may play down their calorie counts, Halo Top chooses to place the total calorie count front and center of each pint in extra-big type, type that’s bigger than the flavor name or even the Halo Top logo. 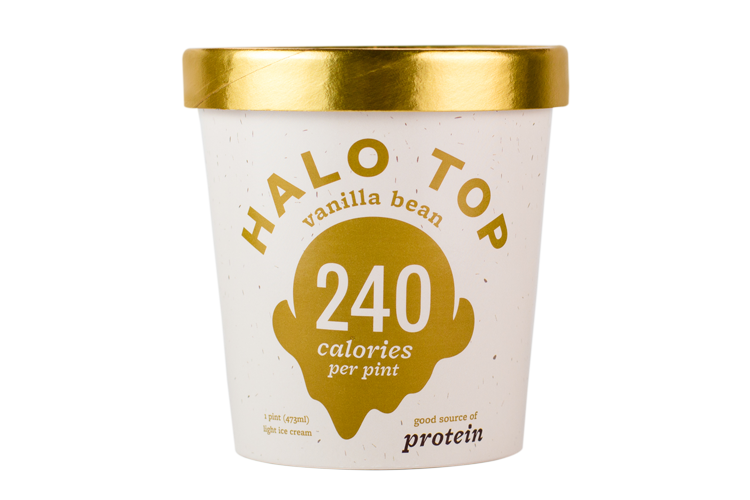 Halo Top knows that the low-calorie count is its greatest selling point and plays it up by telling buyers, Feel free to consume the ice cream by the pint! After all, it’s only 300 calories! 300 calories. This is the magic product every calorie counter has always been dreaming of. 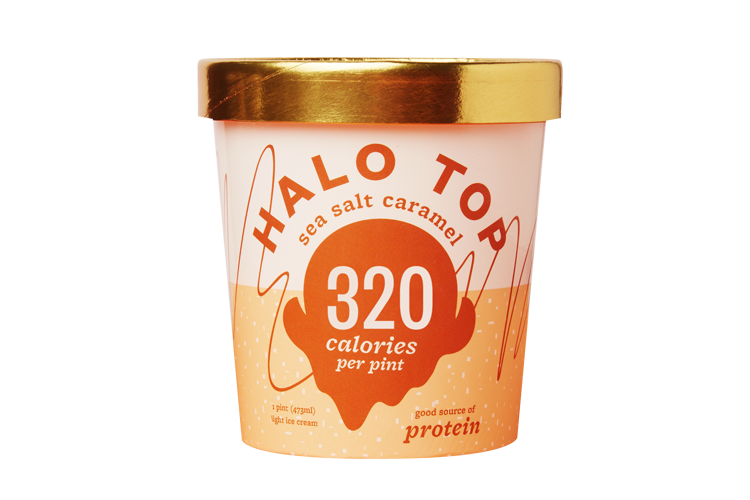 With the addition of concentrated lactose protein, usually found in nutrition bars, Halo Top averages about 20 to 24 grams of protein per pint, providing satiety for the consumer. It might be tempting to consume the entire pint in one sitting, to use it to replace meals, even – but is this advisable? Cookie Dough: For those moments where eating one dessert at a time just won’t do. HealthLoco Tip: Everything in moderation. 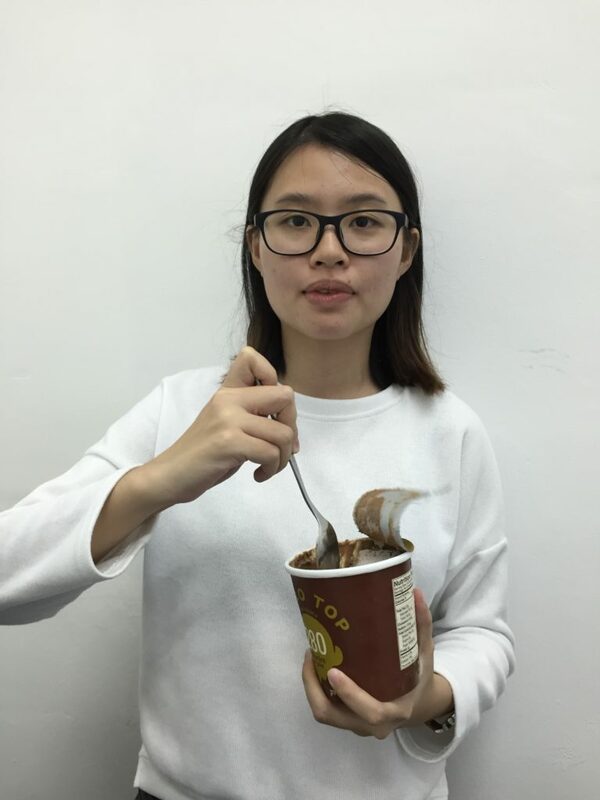 Although the calories, fat, saturated fat and sugar totals for Halo Top are a mere fraction of what’s found in traditional ice cream, Halo Top still is a processed dairy product, and cannot replace fruits and vegetables that are natural sources of nutrients. Now, those of us who have tried “healthier” or lower-calorie dessert items and were sorely let down by the lackluster miscreations may first regard Halo Top with skeptical eyes… How good can low-calorie ice cream be? At HealthLoco, we were curious as well and so decided to do a little taste test. The brilliant people at Little Farms (God BLESS you for bringing Halo Top to Singapore’s shores) sent us 3 flavors: chocolate, vanilla, and sea salt caramel. The cute covers that greeted us. The scoop: This was the first flavor we tried. We were so, so surprised by how good it was. No artificial taste, with a texture similar to that of old school Walls ice cream. To fulfill a hankering for chocolate ice cream, this definitely does the trick. Cheryl: I’m gonna double dip, ok? Ok. The scoop: We found the taste and texture of this even better than that of cheap vanilla ice creams found in supermarkets. Just 240 calories per pint, this was really good. V: Oh my god. Nice. Also, unlike what I expected, there’s no chemical aftertaste. The scoop: Aaaanddd we have a winner. We think this flavour could stand its own against other sea salt caramel creations by renowned ice cream companies in Singapore. It was excellent. JT: As good as that one from Upper Thomson leh. Make no mistake, these are not to be compared with Italian gelatos that usually come creamy and thick. If richness is what satisfies you, then you might want to stick to what you know. 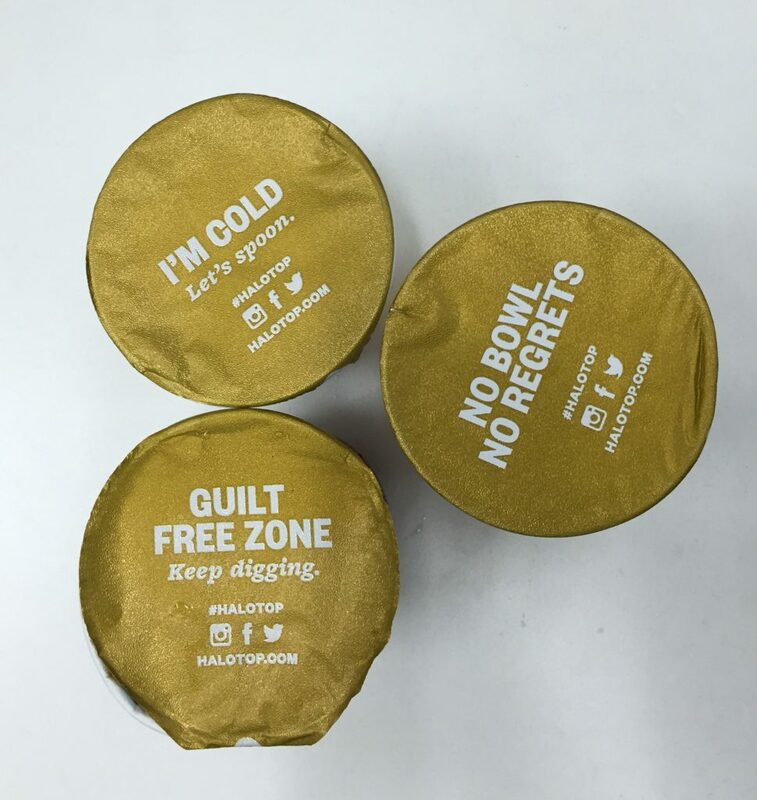 But if guilt-free indulgence (300 calories per pint!!!) is what you’re after, then this is definitely for you. No chemical aftertaste, good texture, and did we already mention low in calories? Our overall opinion? Halo Top is legit, man. And we cannot wait to get our hands on more. Get to Little Farms Singapore, a quality food market in Singapore bent on bringing only fresh, clean, and ethical items of the highest quality around the world to you. View their vast selection of produce, baked goods, drinks, and more on their website here. Order online, or feel free to head down to one of their brick and mortar stores. You will surely be as impressed as we are by their uncompromising standards, unique products, and wide range of specialty produce. Little Farms, Valley Point Shopping Centre, 491 River Valley Road #01-20, Singapore 248371.